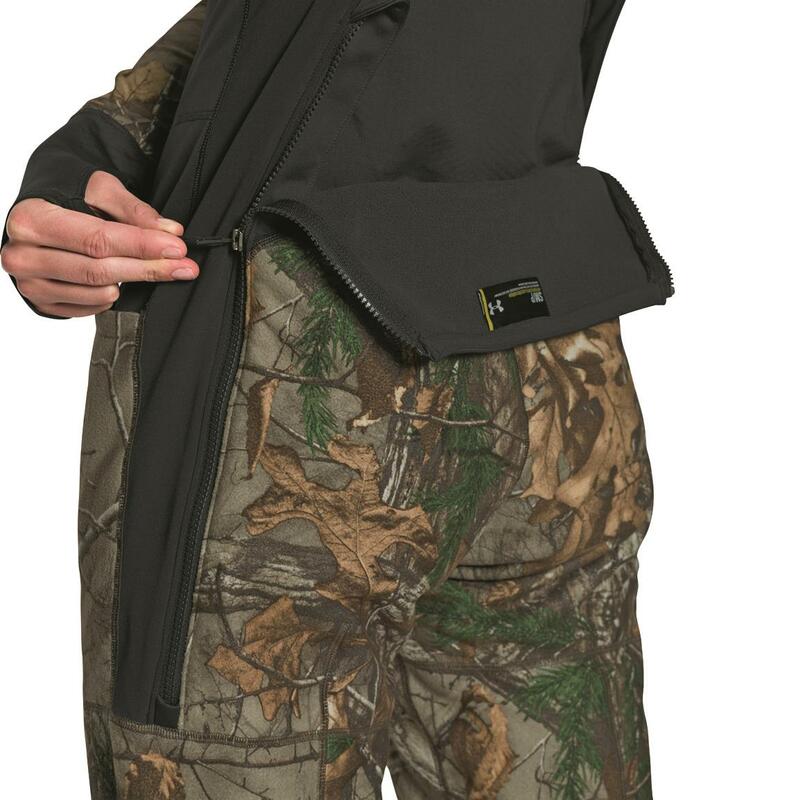 Armoured with quiet sherpa fleece and UA Scent Control! 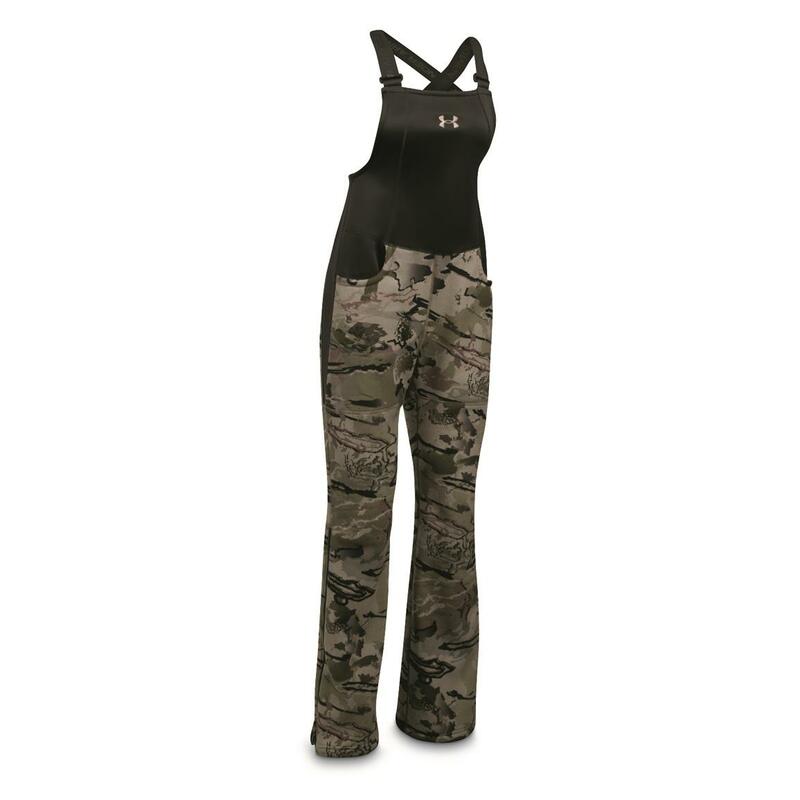 Under Armour® hunting clothing, high-performance as usual, but with some new features that make it warmer, stealthier, and more comfortable than ever! 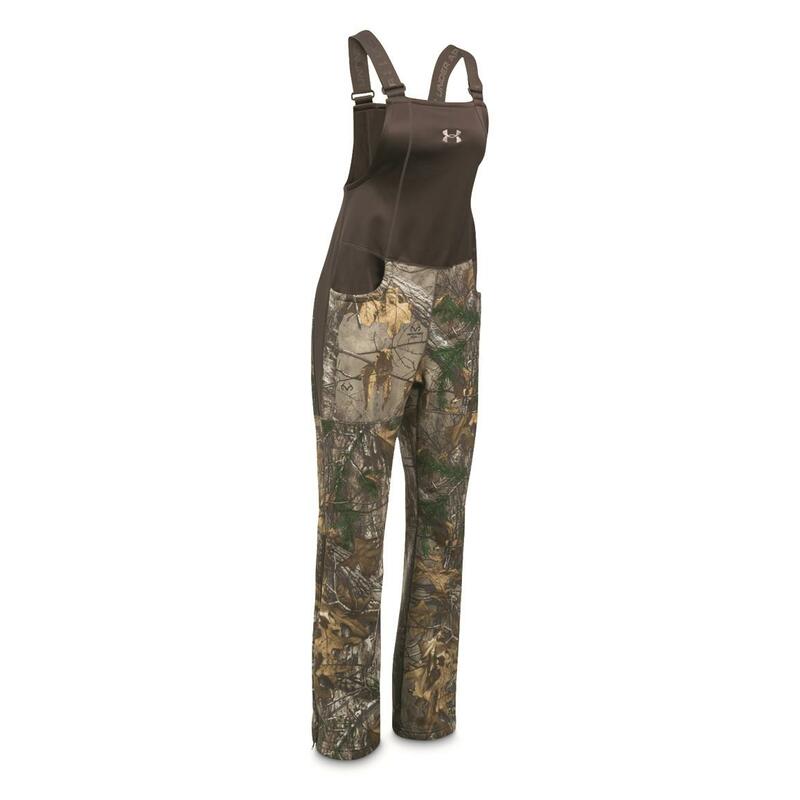 The all-new Under Armour® Women's Stealth Bib pairs high-pile bonded sherpa fleece that's soft, warm, and ultra-quiet with UA Scent Control to keep you sound- and scent-stealthy on the hunt. 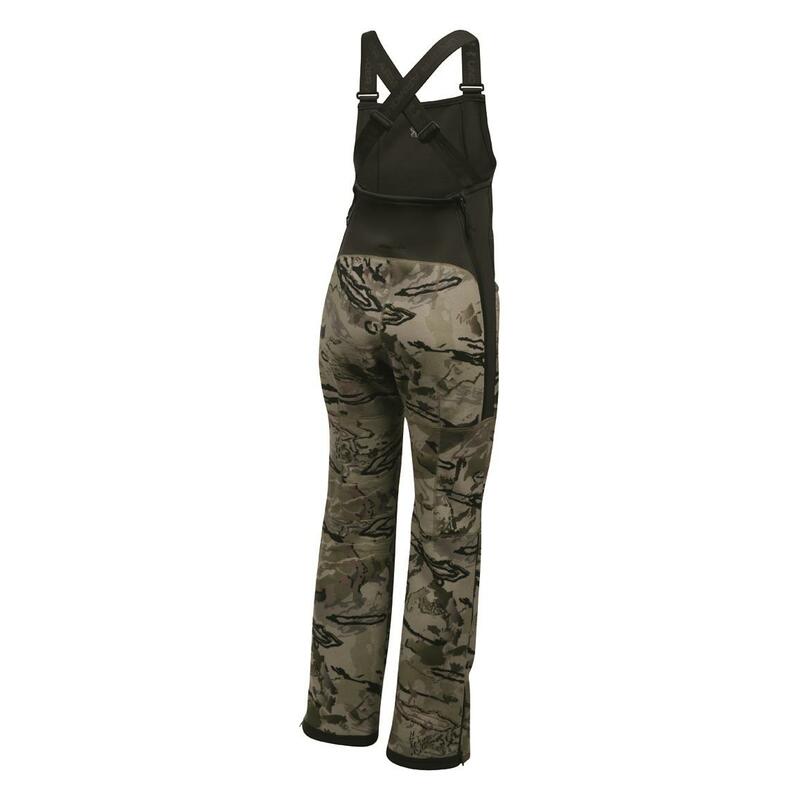 The cut is loose to give you full range of motion when you're scrambling through the wilderness, and the refined fit offers better comfort and movement. ColdGear® fabric is warm, dry, light - so you stay warm without the bulk. You don't need to wear a heavy coat when it's cold. You only need ColdGear®. 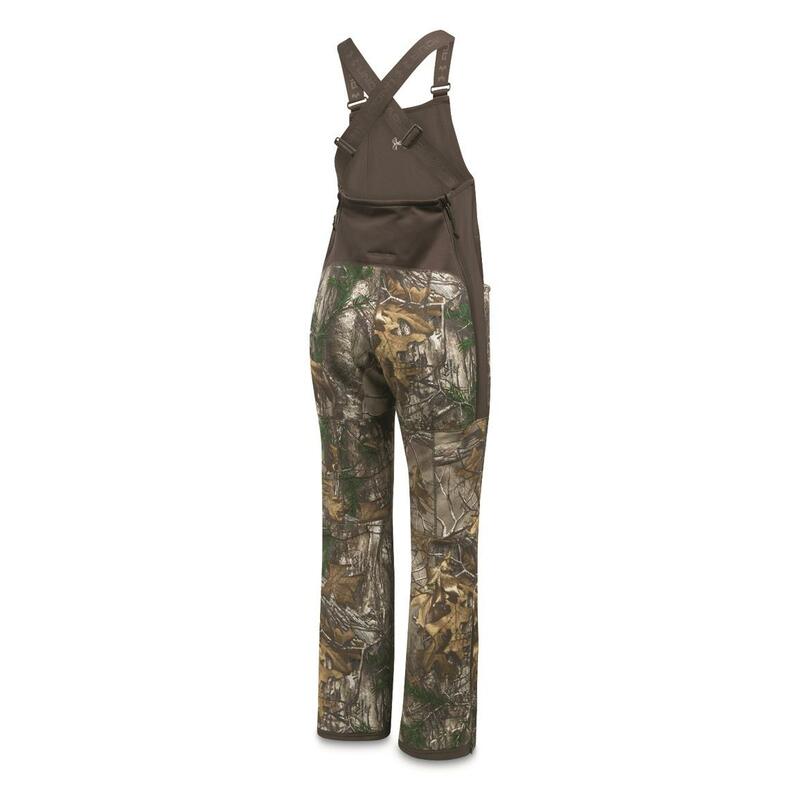 Add in the Storm 1 water-repellent technology that helps water roll right off, and you're looking at the recipe for a comfortable hunt, whatever the weather. More on UA Scent Control. Under Armour®'s revolutionary scent technology combines synthetic zeolites with the anti-microbial power of silver to trap and suppress the growth of odor, and keep you undetected. Most scent control technologies either kill odor before it starts to smell, or capture it once it already exists. UA Scent Control technology does both, making it the ultimate in odor control. Hey, if you want to get close to the bruisers, keeping a low scent-profile is just as important as camouflage. UA Scent Control keeps a lid on your smell, so you can get closer.